If you read into Chuck Ealey’s football story, it’s a pretty good one. After winning a state championship in high school, he earned a scholarship at the University of Toledo where he led the Rockets to 35 straight wins over a three-year span – a record that still stands in American college football. 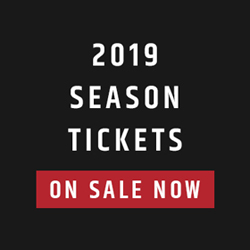 From there, he launched an impressive seven-year career north of the border in the CFL, taking over as Hamilton’s starting quarterback in the fourth game of the season, eventually leading the Ticats to an 11-3 record and an eventual Grey Cup championship. But while Ealey’s accomplishments on the field are legendary, his story is about so much more. 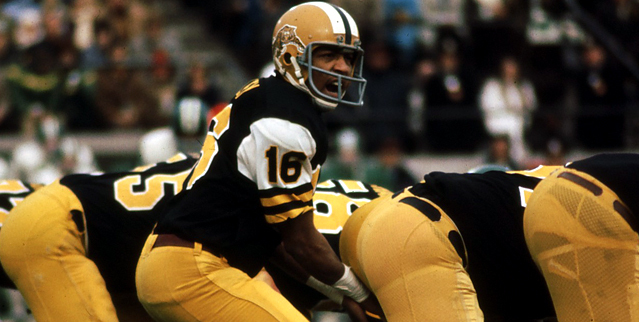 ‘Stone Thrower: The Chuck Ealey Story’ premieres on Friday night as part of TSN’s documentary series ‘Engraved on a Nation’, telling the story of how football and racial intolerance clashed some 50 years ago. 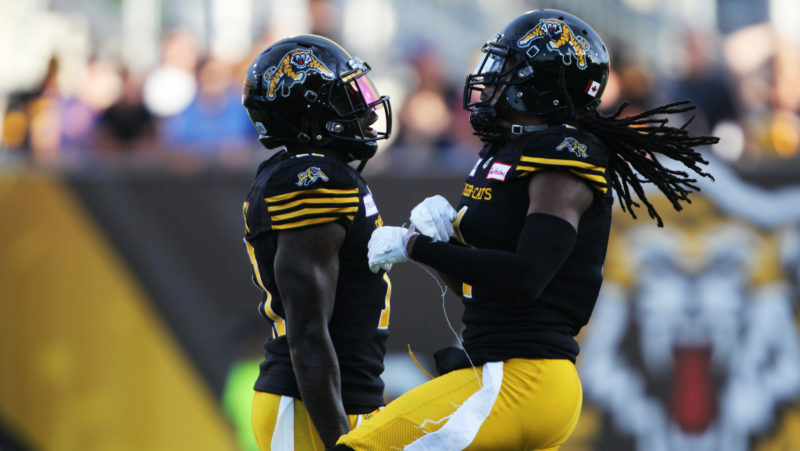 One person you know will be watching closely on Friday is former CFL linebacker Orlando Bowen, who spent time with the Argos and Ticats over his five-year pro football career. Bowen knew of Ealey quite well from a young age – his accomplishments, the path he took, the racial issues he dealt with – when he played football against his son Damon in high school, and then again in college. It wasn’t until 2000 when he actually met Ealey, now his father-in-law, for the first time though. Bowen married Ealey’s daughter Sky, and eventually became very close with the former football great. Through shared experiences not just in football, but in commitment to family and earning stability through business after retirement, Bowen saw Ealey as a mentor. When it comes to Ealey’s history of racial intolerance, Bowen always understood and respected the former quarterback’s past quite well – in fact, Bowen’s parents lived in the very same period of civil rights as Ealey. In 2004 though, Bowen experienced first-hand the same kind of racial intolerance as Ealey. Waiting to meet friends, the linebacker was approached by two undercover police officers and accused of dealing drugs. The officers, who didn’t identify themselves as police, forced Bowen to the ground and beat his head until he was barely even recognizable. Bowen suffered gashes on his face along with a major concussion, eventually putting an end to his pro football career and forcing him into an early retirement at age 29. He was later acquitted of any wrongdoing months later, while one of the officers was charged. Ealey was there for Bowen every step of the way, whether it was connecting with lawyers, going to meetings, or any other part of the process. They were, after all, family. Jael Ealey Richardson’s new book, The Stone Thrower, lays the foundation for the upcoming TSN Documentary of the same name, set to premiere on TSN on Friday night. “He was there for the whole journey, and prepared to do whatever was necessary to help throughout that time,” recalls Bowen. He doesn’t remember any particular word of advice from his father-in-law, but says the way Ealey has lived his life aligns with the encouragement he provides. 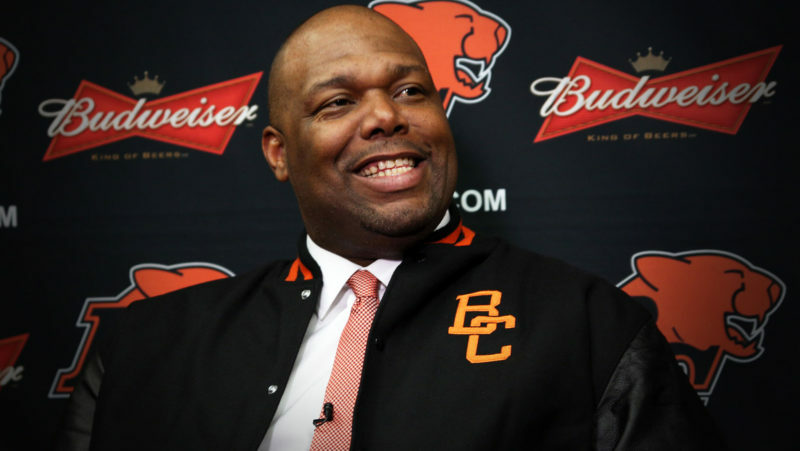 “His commitment to his family, his resourcefulness in terms of what you have to do to take care of your family now that football’s not on the table – those types of things gave me perspective,” says Bowen, who was born in Jamaica but raised in Brampton, Ontario. Now, Bowen speaks to school children and social organizations about what he’s gone through. And despite the fact that they were police officers who assaulted him, he still speaks on behalf of police departments to kids on the subjects of anti-bullying and good citizenship. Watching Ealey’s story being told to a national audience on Friday will likely be emotional for Bowen, given his relationship with Ealey along with his own experiences with racial intolerance. But, that’s exactly how he wants everyone else to feel who watches, too. Bowen says that while people should pay attention to Ealey’s excellence on the football field, what’s much bigger than his football accomplishments is his attitude in life. Bowen says people should find strength in Ealey’s story, if only from his determination and willingness to stick to his principles. Despite his accomplishments and a lot of people probably saying he should really be playing in the NFL, Ealey’s goal was to have football take care of his education – and he achieved that. “Everything on top of that was great, but he was going to do it by his rules in terms of what he was passionate about doing, and the way in which he wanted that to play out,” says Bowen. 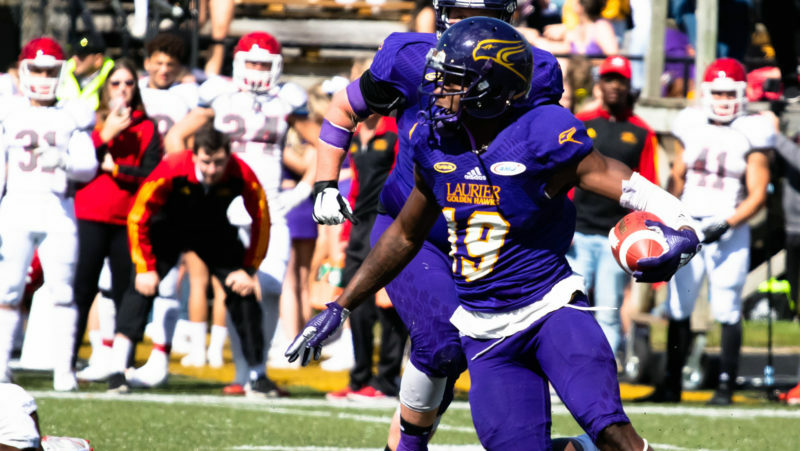 Ealey was a heck of a football player, and after being passed over by the NFL following a great career in college, he made a name for himself in Canada. Generally forgotten or unknown among many, Ealey was a trailblazer. Everyone’s heard the story of Warren Moon, the first black quarterback to make it into the Pro Football Hall of Fame. Ealey’s story was before that – he helped pave the way for Moon and many others. Bowen hopes Ealey’s ability to accomplish so much – through his values and personality – inspires everyone who watches Stone Thrower. “It doesn’t have to be through football, but the way that we choose to live our lives can really speak volumes and can help other people on their path as they go through their trials and their journeys and their tribulations,” says Bowen.